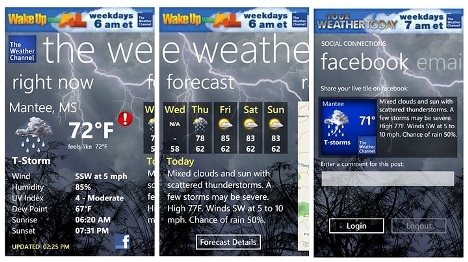 The Weather Channel app is free, though you'll have to deal with adverts. You can get it through the Marketplace. The update does look nice, however, the radar map still shows data that is two hours old. What good is that? I want to be able to see if there is a bad storm cell moving my way.